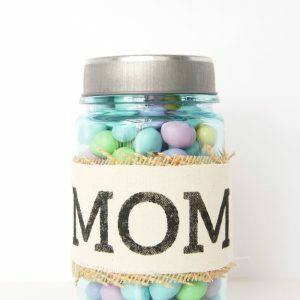 A big thanks to eBay for making this DIY and blog post possible! All opinions are mine. We have a little problem in our house. Whenever our children use the bathroom the hand towel always ends up on the floor. It’s a little pet peeve of mine to walk by the bathroom and see the towel on the floor. 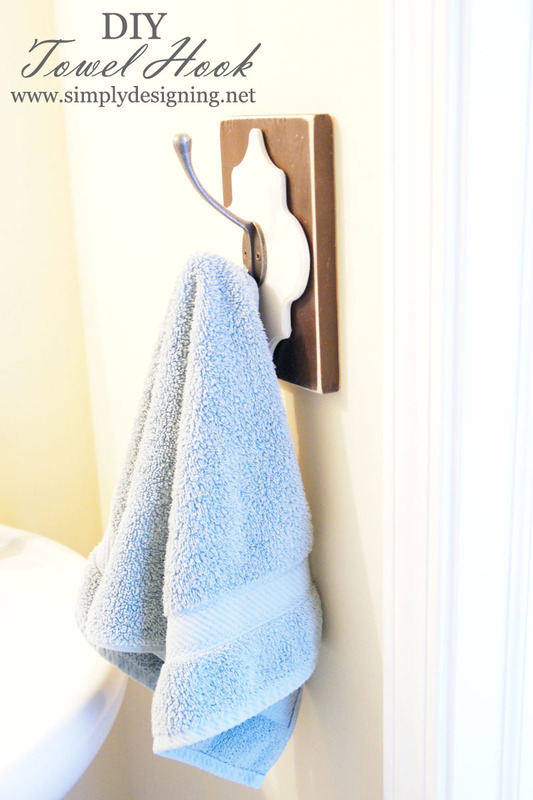 I understand that traditional towel holders are not always easy for children to hang towels up on so I decided to create a DIY Towel Hook to help give my children an easier way to hang up the hand towel! I wanted to find a fun, vintage hook to use for this project so I went searching on eBay for a unique solution! In the mean time I found so many cool hooks I couldn’t help but create an amazing collection of hooks, hangers and racks! Come check out my Hang It Up collection HERE. I ended up finding a vintage hook from the UK and couldn’t resist buying it for this project! In the mean time, I painted my wood shape cream and my larger rectangle piece of wood brown. I used sandpaper to distress all the edges. 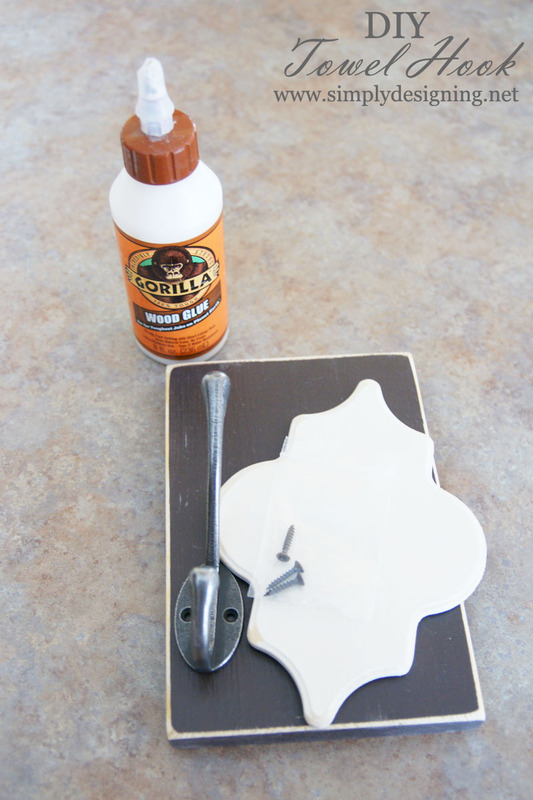 Then I used wood glue to secure the wood shape on top of the wood rectangle. 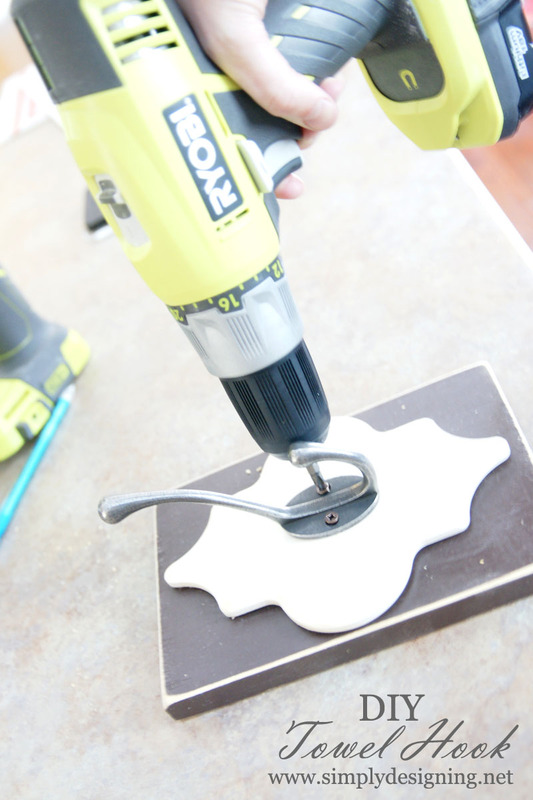 I used my drill with a small drill bit to begin screw holes in the wood. 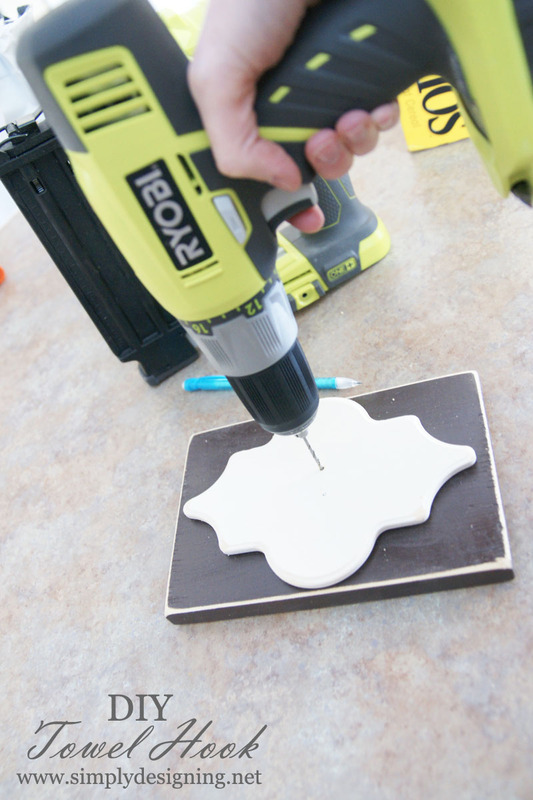 I didn’t want my wood shape to crack and starting a whole with a drill is a great way to prevent that from happening. Then I used my drill to screw the hook in place. 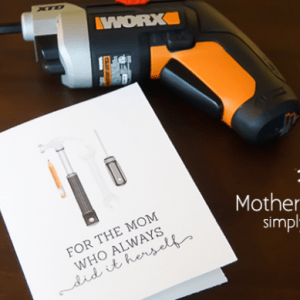 If your drill doesn’t fit well or you don’t have one, you can always screw this in place with a screwdriver. 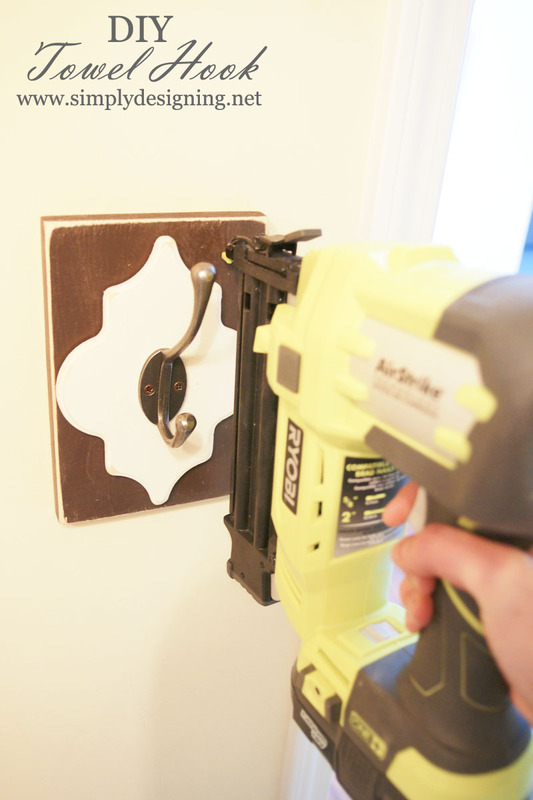 After my DIY Towel Hook was assembled, I attached it to my wall with my nail gun! I used 4 nails, one in each corner and this hook is so incredibly sturdy! I wanted my hook to sit flush against the wall and I also didn’t want it to be easily pulled down. And using a nail gun to attach this was the perfect solution! 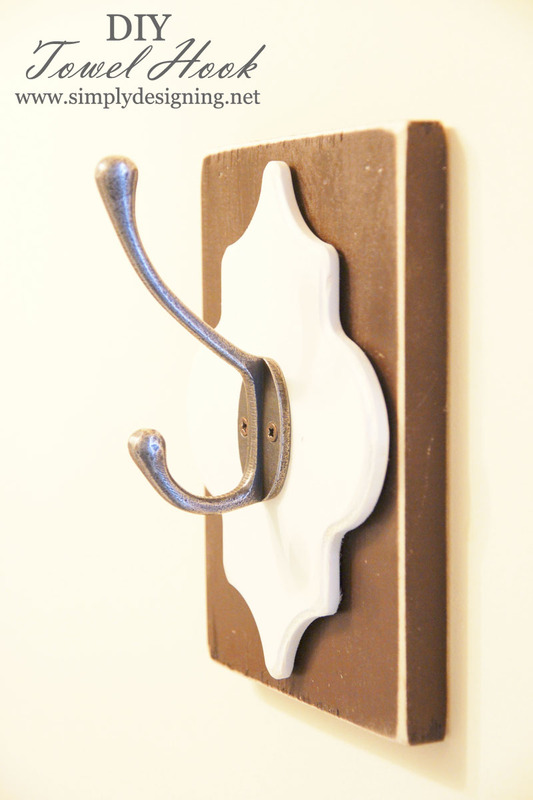 I love how my DIY Towel Hook turned out! I was so inspired by all the amazing vintage hooks I found while searching eBay. In addition to a collection of fun hooks, I created several other fabulous collections of my favorite items on eBay! You can find things such as fun vintage finds, amazing lamps, fabulous paint options, my favorite crafty tools and many other amazing collections! I have towel hooks but this is SO cute!! !